I recently read an article by SAPVoice on forbes.com, “What Customer Experience Will Look Like In 2020”. I read it with interest because sometimes these predictions can seem unrealistic, and mired in the way things are currently done. Back in the 1960’s a cartoon called “ The Jetsons” made predictions of the future that took 50 years to realize. But as you watch the video, you will realize it’s actually, surprisingly accurate, and some of the very things in this video are “trending” in the retail space right now, even though the idea is over 50 years old. You can watch until the 8:00:000 mark, you will have seen enough by then. There’s a tendency, especially in retail, to simply believe that the final digital, customer experience will only consume a small amount of effort. There’s also a tendency to go for “trending” technology or the latest “shiny” thing that consumers are buzzing about without putting the customer first. So before you buy 10,000 Pepper robots to man your local Loblaws, let’s look at some key points regarding building a great, customer digital experience and whether your company should go down a given path. First of all, a lot depends on who your customer is. “Why does it matter?”, you might ask. It matters because different groups measure time in different ways and this is a crucial point in the digital customer experience. An excellent way to illustrate this point is with a coin funnel. When the coin is first dropped, it spends a great deal of time slowly spinning on the outer edges of the funnel. It takes a long while before the coin begins to speed up and descend into the funnel. Now look at the other end of the spectrum, the closer the coin is to the hole in the middle, the less time it has, and the faster it spins. The coin moves slowest when on the outer edges, and fastest just before it drops out of the funnel. Digital maturity and your customer. The funnel analogy is this, when you were younger, time seemed to go on forever because you were on the wide, outer edge of the funnel. Your summer holidays seemed to go on forever? Why? Because you didn’t have a care in the world. You could explore. You could learn. You could play. In short, you had time. As time goes on, and you put in your time, the current year goes by seemingly faster than the previous one. So what does this have to do with your customer? That’s a great question. Well, here is why the funnel analogy is so great: the coin determines the market for your digital product. The more “youthful” your audience is, the more whimsical your product can be. And this youthfulness isn’t just by age. It refers to a demographic with time on their hands. This could be a group of millennials but it could also be someone in their fifties, stuck on an airplane with nothing to do, and maybe it’s time to crush some candy. So, depending on who your customer is, and where they are on the time funnel, the customer experience can differ greatly. Also, as digital matures, so does its audience. 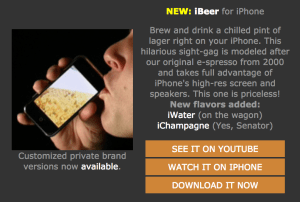 Do you remember the iBeer app when it first came out? People went crazy for this app for a number of reasons: 1) the general population had never seen such an app; 2) the general population was young and immature (both digitally and chronologically); 3) the app was fun…think teenage fun. So for digital teenagers, literally and figuratively, this app couldn’t have come along at a more perfect time. In 2017, if you offered the iBeer app, it would flop. It would flop for a number of reasons: 1) it’s a been-there-done-that type of app; 2) users are more digitally savvy now; 3) apps have become far more sophisticated (for the most part); 4) now that the general population has become more technologically savvy, their time is worth so much more now, so they need to recognize the value in something quickly. It’s not you; it’s your customer. As I read the Forbes article I mentioned earlier, it spoke about the future of retail stores , but retail stores are already dead. Just ask Sears. The only thing worse than being dead is hemorrhaging investor money without realizing you are dying. It used to be that an individual had to cater his/her lifestyle to the retail store. The question now is how does the product cater to an individual’s lifestyle. If you look at all the top selling apps, they are all apps that cater to the individual. Think of it this way, it used to be that the big cable companies would decide when and what consumers would watch. Now, as any good cable cutter will tell you, a cable cutter will watch what they want to watch whenever they want to watch it. 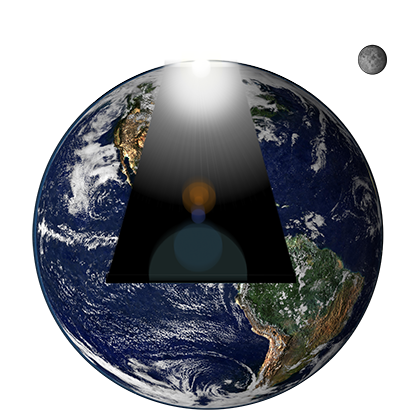 Back to the time funnel analogy: as an individual moves away from the outer edge of the funnel, time becomes a more premium commodity. As a customer ages, their time becomes more and more valuable; and with all the choices out there, they will chose digital products that actually assist them. The more consistently a company saves their customer time, the greater the customer’s loyalty will be. The ultimate goal of the successful company will be to make the customer a life-time consumer. They should really get to know their customers and provide value to them. The age of flash-in-the-pan, snake oil photocopying salesman gimmicks in the digital world is over. And the biggest mistake a company, any company, can make is to assume that their customer (the coin) is higher up the funnel than they are. If you waste a customer’s time, that is lower down the funnel, with experimentation after experimentation, you will piss them off; so you better get it right the first time and not just throw everything at the wall in hopes that something sticks. The age of Integrity is upon us. Unsuccessful companies will be those that swindle their customers just to boost their bottom line. 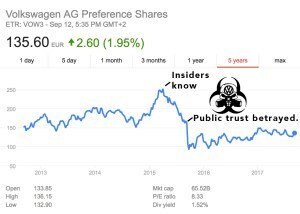 A horrendous example of what happens to a company that betrays its customer’s trust is Volkswagen. Volkswagen is done. Drive around your city and see how many Volkswagens have “FOR SALE” signs in the window; then take note if those Volkswagens sell over time…they won’t. One thing that the digital age has brought about is the dissemination of information i.e. going viral. There’s good “going viral” and there’s bad “going viral”. Think about the Volkswagen fiasco as a bad viral stench that consumers will not forget. Successful companies will be those that build a relationship of trust with their customers. Look at the success that Jessica Alba has had with her company, The Honest Company. For a more detailed audio interview about The Honest Company, click here. If you really want to create a great customer experience, THINK! Think about your customer and examine what it is your company is trying to do for them. Put your ego aside. 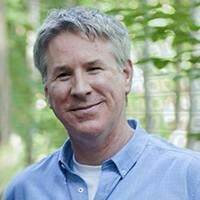 Don’t just implement something because everyone else is doing it, and you think it’s really cool, and, well it will give your something cool to talk about with the other VPs and CEOs. Don’t choose technology for technology’s sake. Choose technology for the customer’s sake. Don’t put a touch screen ordering system in a fast food restaurant. Do I really want the germs from every previous finger that touched that shared screen to crawl onto my food? Ah, NO! Your cool, technological “solution” that you implemented because everybody’s doing touch, has just lost my business. Thank God, at least most of your customers are millennials with time to waste on their hands. But, wait, actually a large number of your customers are parents who have the least amount of time to waste and you’ve just really, really pissed them off. Don’t believe what all the ad agencies and web guys are telling you: that it’s all about impressions. The problem with making impressions is that they can be positive or negative impressions. If you leave a negative impression, it will linger with customers like digital elephants i.e. the Volkswagen scandal. Here’s a quick explanation on what a PWA is, and why trust is becoming more and more important in the mobile market. A PWA (a Progressive Web App) is neither a native app or a web based app accessible from a user’s phone. A PWA is like a hybrid app that allows a mobile user to permanently store application data and media on their phone so that future visits will be speedier. Mobile users will only allow PWAs they frequently use and trust. Continuing on with The Honest Company’s idea of trust: trusted companies will find their PWAs (progressive web apps) on their customers phones. The best advice in the digital strategy realm is to do what’s right for the person, in the best possible way, and in the shortest amount of time, over and over again. If a person trusts you, or your brand, they will be a customer for life. If they are a customer for life they will want your PWA on their phone. In order to create a great customer experience and consistently meet with their ever changing needs, you will need agile frameworks in place. You probably saw the word “agile” and thought ooh “agile”. There are a lot of companies who proclaim to be agile, and they’ll talk about scrums and rapid iterations, and all that, but the bottom line is that their processes or frameworks are just there to waste time and ultimately money. That’s not what I’m talking about! I’m talking about smart processes that save companies shitloads of time and money, that few companies ever even ponder yet alone implement. If you want to know more about the money that you’ve been pouring out of your company because you’ve neglected frameworks, you can continue by reading Silo Connectors and follow that up with Chasing Digital Strategy, and what the heck, you might as well read this as well, Die Pixels Die. I’m not the only one with this opinion. Get your strategy straight while there’s time, or you might be among the 40%. Retiring Cisco CEO delivers dire prediction: ‘40% of companies will be dead in 10 years’. © 2018 Igeddit. All Rights Reserved.